Why did Beijing do it? The official explanation makes the most sense. China devalued its currency on Tuesday, reportedly in order to make the RMB more responsive to market forces, although this gave rise to suspicion among global analysts, who fear that the devaluation is a sign of a deteriorating balance of payments. The RMB fell 1.9 percent against the dollar, the largest one-day decline in a decade. Worse, the following day, the RMB was weakened by 1.6 percent from the previous day’s midpoint. Asia Pacific stock markets and emerging market currencies declined as a result, on speculation that the change was made in order to prop up China’s slumping economy. Yet despite the negative market response, the official line still makes the most sense. The response among international analysts included projections that China was manipulating its exchange rate in order to boost exports, which have lagged for several months given lower levels of growth. Some analysts viewed the devaluation as part of a devaluation trend taking place in the rest of Asia. Pundits speculated that the devaluations would strongly and adversely impact luxury goods and tourism, as well as commodity imports. As a result of the latter, Brent crude prices fell on the news of the devaluation. Overall, the sentiment was risk-retreating as many analysts believed that Chinese technocrats were covering up economic data that was worse than has been reported. A somewhat more neutral interpretation of China’s move includes the belief that China is attempting to delink from the dollar, as the anticipated end of quantitative easing in the U.S. has meant a stronger dollar and consequently a stronger RMB. The move is therefore seen as both corrective in terms of bringing some competitiveness back to the RMB and preemptive since the dollar will continue to strengthen. The most positive interpretation is provided by the official line. According to a central bank spokesman, China’s real effective exchange rate was relatively high and not in line with market expectations, so that the shift in central parity better reflects the market rate. The RMB’s central parity is now based on market makers’ quotes and the previous day’s closing price. This was supposedly a one-time correction and will not continue over an extended period of time. The move is attributed to China’s ongoing process of exchange rate liberalization. The stated reason for the exchange rate devaluation makes the most sense. In support of the official line is the fact that an RMB devaluation of less than 2 percent will not do a great deal for either exports or imports. The devaluation is unlikely to strongly impact China’s growth, which would require a far larger devaluation and a reversal of structural reforms to truly boost exports. The devaluation was applauded by the IMF, which took the official statement, supporting increased liberalization of the exchange rate, at face value. Therefore, while the short-run impact was to adversely impact regional financial markets, the long-run result may be the long-awaited liberalization of the RMB. Still, even though the central bank would like to converge the state-managed onshore and market-based offshore RMB rates, ironically the offshore rate took a dive on Tuesday, widening the gap between the onshore and offshore rates to its greatest level since September 2014. This only underscores the fact that markets act according to their own whims, something Beijing will have to face as the exchange rate liberalization process moves further down the road. This is not a George Soros moment. At least not yet. ‘Sword Of Damocles’ Hangs Over AsiaWhat to Expect for the Chinese Economy in 2016Uncharted Waters for the Renminbi in 2016The Renminbi Joins the IMF's SDR Basket. 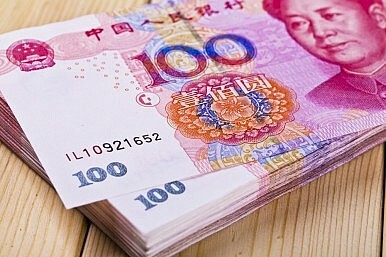 Now What?China's Currency Set to Join IMF's Elite Currencies Club. So What?